Just like the lettuce I wrote about in early July, I planned for a continuous supply of carrots this season. The winter planning worked the same for carrots as for lettuce: figure out how often and how much I need to plant at a time, determined by how long each planting will last, both in terms of maturity of the vegetable and how fast it will sell. Then, implement the plan. Since carrots ran short last year, I increased the carrot plan this year. Again, like the lettuce, the one part of the plan I never quite finished was where each planting would go. The first six plantings had their place, but the rest had to wait and see what space became available. The carrots got off to a great start. The first two batches in the hoop house did really well. They grew to a good size and were relatively pest free. The second and third batches have done okay, but not great. I ended up planting them both at the same time. They seemed to grow super slowly ( and I still haven’t pulled them all) and suffered more from pest damage. 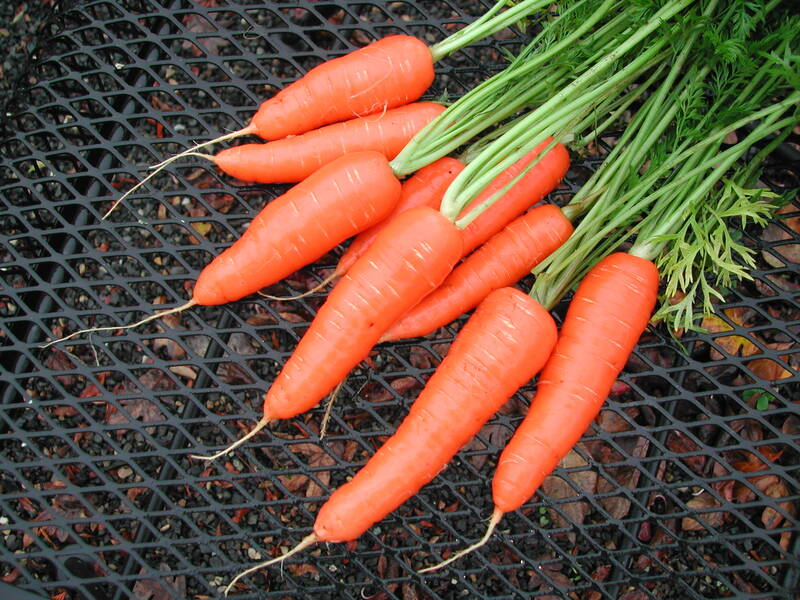 A few weeks ago, some of you bought “B” quality carrots, ones that have more flaws than they should. Most of those flaws were pest damage; the carrot rust fly, I think. 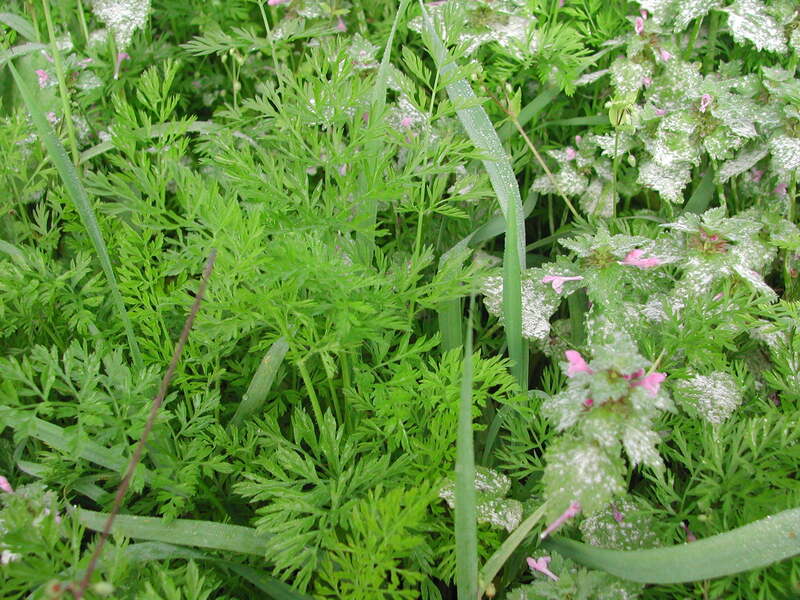 The way to control carrot rust fly organically is to put up a barrier; a floating row cover. I did that on the fifth and sixth plantings, but unfortunately, for some reason, the carrots did not germinate well at all. Either that, or the slugs got to them under the row cover before I realized what was going on. I scrapped those plantings. I skipped two of the planned plantings and the last four plantings went in all at once the third week of July, when I had scheduled to plant the last batch. I tried out a weed control trick on these carrots: flame weeding the newly germinating weeds before the carrots germinate, to give the carrots a head start against the weeds. Our house came with a flame weeder. 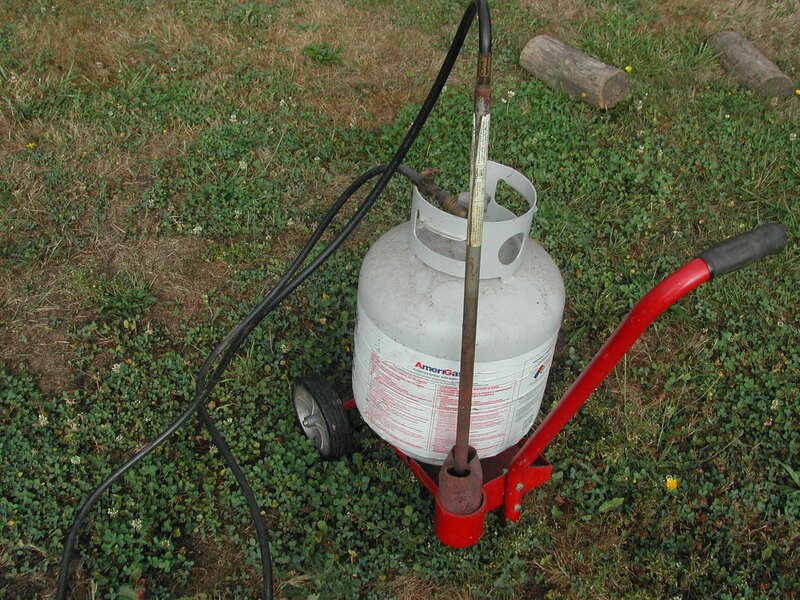 The one we have is a torch hooked up to a propane tank. You light it up and heat the weeds just enough to cause their cells to burst. At the moment, they look wilted, but in a short time, they die. I have wanted to try this before, but the timing is somewhat difficult. You wait as long as possible, until just before the carrots come up. I once heard a farmer say, you wait until 15 minutes before the carrots germinate and then flame the weeds. With most of my attempts, I waited too long, and the carrots were up before I could use the flamer on the weeds. On this last planting, I think I timed it about right. I flamed the weeds and a day or two later, the carrots germinated. Unfortunately, that was the end of my weeding in the carrots until this week. The carrots did get a good head start, but the weeds have taken over and I am working to set the carrots free. They don’t look too bad, though, and if I do some good thinning after I finish weeding, I should have some more carrots before the end of the season.